A distinguished researcher or expert of ITS and/or related areas is invited to give a lecture to the trainees. The lecture serves as a multi-objective activity since these experts can exchange valuable professional experiences, stimulating trainees to pursue their careers besides the content convey in their presentations. The trainees in turn have the opportunity to interact with such exceptional individuals. Abstract: With the development of NFV (Network Function Virtualization) paradigm, networking functions would gradually move from specialized and proprietary hardware to open-source software run over a virtual machine (VM) deployed on commodity hardware. Open vSwitch (OVS) is the most prominent open-source solution implementing a virtual switch, while DPDK (Data Plane Development Kit) is a set of specialized libraries to enhance the performance. In particular, DPDK allows packets to be processed by batches and spreads the incoming load of packets over all the CPUs using a polling system architecture. In this talk, I address the issue of modeling the behavior of a DPDK-based virtual switch. Numerical results show that, despite its simplicity, our proposed modeling framework provides fairly accurate results when compared to simulation at a much lower cost. Applications of our model include system sizing, resource allocation and performance forecast. Bio: Thomas Begin received a M.Sc. degree in Electronics Engineering from ISEP (Paris) in 2003, and a M.Sc. and a Ph.D. degrees in Computer Science from UPMC (U. Paris 6) in 2005 and 2008, respectively. He was a post-doctoral fellow at UC Santa Cruz in 2009. During the 2015-2016 academic year, he was on research leave at DIVA lab - University of Ottawa (uOttawa). Since 2009, he is an Associate Professor at UCBL (U. Lyon 1) in the Computer Science department. T. Begin research interests are in performance evaluation, computer network, and system modeling. His principal applications pertain to high-level modeling, wireless networks, resource allocation and queueing systems. Abstract: Water covers most of the Earth’s surface and it is economically critical for conveying transcontinental phone calls and transactions through undersea cables and merchandise via container ships. Yet, to this day, the water medium remains a challenging environment for humans to communicate. This talk covers the broad topic of underwater sensor networks equipped with an acoustic communication capability. As no prior knowledge of underwater acoustics is assumed, an overview of underwater acoustic communication and sensing is first provided. A review of the main modeling approaches and key environmental characteristics will then follow. Part of this topic will also highlight a brief description of Canada’s on-going R&D activities in the Arctic region and its unique challenges. Subsequently, the speaker will provide an in-depth discussion about recent research results on refracted communications. In particular, this research topic ties together underwater acoustic communications, environmental features, network design criteria, and acoustic transducer specifications. Future research topics and on-going international collaborations are discussed before summarizing the talk and providing a list of future challenges. Bio: Stéphane Blouin has been a professional engineer for 25 years and became an IEEE Senior member in 2016. Dr. Blouin received a B.Sc. degree in mechanical engineering from Laval University in Québec city (QC) in 1992, an M.Sc. degree in electrical engineering from École Polytechnique in Montréal (QC) in 1995, and a Ph.D. degree in chemical engineering from Queen’s University in Kingston (ON) in 2003. With more than 15 years of experience in industrial R&D, Dr. Blouin held various positions in Canada, France and the United States related to technology development and commercialization for automated processes, assembly lines, robotic systems, and chemical process controllers. In 2010, he became a Defence Scientist at the Atlantic Research Centre of Defence R&D Canada (DRDC). Dr. Blouin is the first author of the paper which received the Best Paper Award at the 2015 International Conference on Sensor Networks (SENSORNETS). He currently holds adjunct professor positions at Dalhousie University (Halifax, Nova Scotia), Carleton University (Ottawa, Ontario), and Concordia University (Montréal, Québec). Dr. Blouin has authored more than 50 scientific documents,holds eight inventions and patents, and is the Canadian technical lead on many international projects. 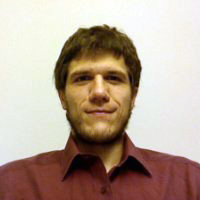 His current research interests include theoretical aspects of dynamic modeling, real-time monitoring,control, and optimization as well as experimental research applied to adaptive signal processing,underwater sensing and communication, sensor networks, distributed computing, underwater networks, and intelligent unmanned systems. Description: Special Lecture given by prof. Michelle Wangham, University of Vale do Itajai, Brazil, who was visiting scholar at the University of Ottawa. Prof. Wangham is a distinguished researcher in the fields of security in embedded and distributed systems, identity management and network security. In this talk, prof. Wangham described a continuation of the work her research group is conducting in the scope of the design of a selective broadcast protocols for enhancing content delivery of Intelligent Transportation applications. In this stage of their work, they applied their approach based on Adaptive Beacon Congestion Control on a simulation testbed instantiated with realistic statistical values of a Brazilian road. In the evaluation, they put their approach into stress situations, in which the load, flow, of vehicles played a notable role with overloaded and scarce situations. The overloaded, representing traffic jam, observed the characteristics that could lead the system into communication flooding. The scarce scenario, representing a normal off-peak hours of the day, observed the efficiency in effectively transmitting a message to the destination. In the discussions, prof. Wangham emphasized on the importance of planning for the success of this work, which also required constant remote management in order to be sure that the project was reaching the predefined milestone. Opportunistic Routing In Vehicula Networks: A New Paradigm for Intelligent Transportation Systems. Abstract: Opportunistic Routing (OR) has been proposed as a way to increase the performance of vehicular networks by exploiting its broadcast nature. In OR, instead of pre-selecting a single specific node to be the next-hop as a forwarder for a packet, multiple nodes can potentially be selected as the next-hop forwarder. Thus the source can use multiple potential paths to deliver the packets to the destination. More specially, when the current node transmits a packet, all the candidates that receive the packet successfully will coordinate with each other to determine which one would actually forward the packet according to some criteria, while the other nodes will simply discard the packet. In this talk, we shall present different research areas in OR for Intelligent Transportation Systems. Then, we focus on the performance analysis of OR using a Discrete Time Markov Chain (DTMC) paradigm. We shall also discuss a new metric that measures the expected distance progress of sending a packet using a set of candidates. Based on this metric we present our candidate selection algorithm which exhibits a better performance when compared to existing protocols. We shall show, how OR can efficiently support multicast paradigm and improve further the design of future generation of ITS. Finally he will discuss , if time permits, about his personal and industrial experiences within the ITS context. 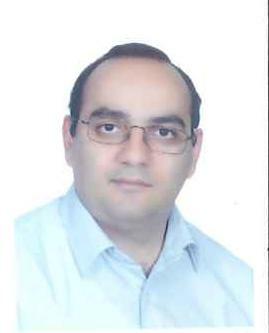 Bio: Amir Darehshoorzadeh is Research Engineer at Cisco Canada. He obtained his Ph.D. from the Technical University of Catalonia (UPC). He received his B.Sc in computer engineering from Shahid Bahonar University of Kerman (SBUK), kerman, Iran in 2003, and his M.Sc Degree from Iran University of Science and Technology (IUST), Tehran, Iran in 2006. His research interests include opportunistic routing, vehicular networks, Intelligent Transportation Systems. In these areas he has extensively published research papers in international conferences and journals. Abstract: Over the past years, many research efforts have focused on enhancing transportation system using vehicular networking technology, as they are considered the foremost technology to provide safety and convenience to drivers as well as to support new applications to passengers’ entertainment. Despite the benefits offered by ITS, these networks introduce security challenges, such as the difficulty in keeping data privacy and minimize attacks from malicious nodes. Security solutions have been gradually addressed in the literature, however, it have yet open issues for research and innovation. In this talk, we are discussing some of the main security threats and attacks that can be exploited in Intelligent Transportation Systems (ITS). Some security attacks on ITS may lead catastrophic results such as the loss of lives. Finally, we introduce some non trivial scientific challenges in this area. Bio: Michelle Silva Wangham received her M.Sc. and Ph.D. on Electrical Engineering from the Federal University of Santa Catarina (UFSC) in 2000 and 2004, respectively. 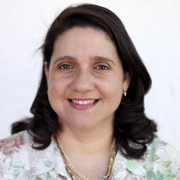 She is full professor at University of Vale do Itajaí since 2006. Currently, she is a Visiting Researcher at University of Ottawa in Paradise Lab. Her research interests are related to security in embedded ITS and distributed systems, identity management and network security. Abstract: Multi-hop wireless networks are often regarded as a promising means to extend the limited coverage area offered by WLAN. However, they are usually associated with poor and uncertain performance in terms of available bandwidth and packet losses, which clearly stands as a limitation to their use. In this talk, we consider the performance evaluation of a multi-hop path (also called chain), based on the IEEE 802.11 DCF. The proposed modeling framework is constructive and versatile, so that it can handle various types of multi-hop wireless paths, including scenarios with two flows in opposite directions, and topologies where nodes are exposed to the well-known hidden node problem. The models derived from our framework are conceptually simple, easy to implement and produce generally accurate results for the attained goodput of flows, as well as the datagram loss probability. Typical relative errors for these two quantities are below a few percent. Also, fundamental phenomena occurring in multi-hop wireless networks such as performance collapse and starvation, are well captured by the models. Bio: Thomas Begin received a M.Sc. degree in Electronics Engineering from ISEP (Paris) in 2003, and a M.Sc. and a Ph.D. degrees in Computer Science from UPMC (U. Paris 6) in 2005 and 2008, respectively. He was a post-docotral fellow at UC Santa Cruz (2009). 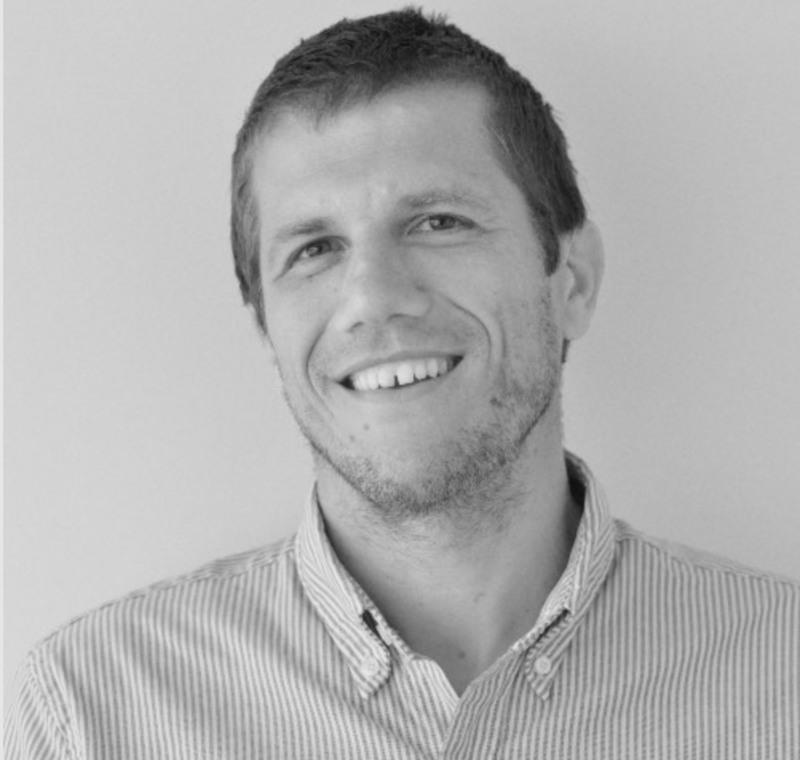 Since 2009, he is Assistant Professor at UCBL (U. Lyon1) in the Computer Science departement. T. Begin research interests are in performance evaluation, computer network, and system modeling. His principal applications pertain to high-level modeling, admission control, wireless networks, resource allocation and queueing systems. Abstract: Recently, participatory sensing systems, such as Foursquare and Instagram, are becoming very popular. Data shared in these systems have the active participation of users using their portable devices ubiquitously. In this case, these systems can be seen as a kind of sensor network, where users can be considered a social sensor because the data shared by them are associated with their habits and routines. Thus, can we use data from social sensors, specifically from Foursquare and Instagram, to better understand traffic conditions? This talk shows that data from social sensors and traffic conditions, provided by Bing Maps, are surprisingly very correlated. The social data distribution is equal to the traffic condition distribution, shifted by an offset that can be easily calculated. This information can be extremely valuable, for example, to build more efficient traffic condition predictors that will improve considerably the design of future generation of Intelligent Transportation systems. Bio: Antonio A.F. Loureiro received his B.Sc. and M.Sc. degrees in computer science from the Federal University of Minas Gerais (UFMG), Brazil, and the Ph.D. degree in computer science from the University of British Columbia, Canada, 1995. 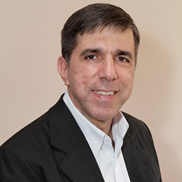 Currently, he is a full professor of computer science at UFMG, where he leads the research group in wireless sensor networks and mobile computing. In the last 15 years he has published regularly in international conferences and journals related to those areas, and also presented tutorials and invited talks at international conferences. In the last 10 years, Dr. Loureiro has had a close and fruitful collaboration with Dr. Azzedine Boukerche. Abstract: Simulation is the approach most adopted to evaluate Intelligent Transportation Systems (ITS) and Delay-Tolerant Network (DTN) solutions. Furthermore, the results' reliability depends fundamentally on mobility models used to represent the real network topology with high fidelity. Usually, simulation tools use mobility traces to build the corresponding network topology based on existing contacts established between mobile nodes. However, the traces' quality, in terms of spatial and temporal granularity, is a key factor that affects directly the network topology and, consequently, the evaluation results. The highly adopted existing real vehicular mobility traces present limitations in the sense that they miss information that is needed for determining a more realistic model. Solutions are needed to overcome these limitations and provide more fine-grained traces, which can be better suited a selected mobility model. Cluster-based algorithms show as a potential solution for filling gaps that are not represented in the collected movement traces. We can observe that applying such a solution, it is possible to calibrate three existing, widely adopted taxi traces. The results reveal that indeed the gaps lead to network topologies that differ from reality, affecting directly the performance of the evaluation results. To contribute to the research community, the calibrated traces are publicly available to other researchers that can adopt them to improve their evaluation results.